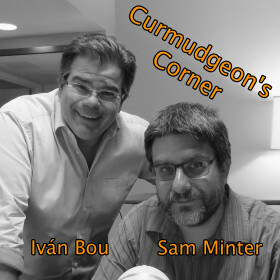 On this week’s Curmudgeon’s Corner, Sam is joined by guest hosts Ed and Alex. Sam and Ed discuss the ongoing gun debate in the wake of Parkland, as well as the latest developments in the Mueller probe. Alex is Sam’s son. Alex is 8. Alex talks about video games. Alex also gives a few thoughts about the gun debate. And he is adamant that the podcast is too long, and we should have stopped at about the one hour mark. Was Alex right? Judge for yourself!